There is something inherently haunting about horror filmed in black and white. It puts such a high importance on lighting to set an ominous and downright creepy tone, with a shadowy room or the flicker of a candle filling you with far more dread than any drop of blood ever could. The Innocents went from a movie that was totally off of my radar one minute to being a chilling and essential experience the next. Until I decided to randomly look up various lists of the best horror films ever made, the name Jack Clayton was meaningless and I had never even heard of The Innocents. I'm thrilled to have been finally acquainted with both. This movie has such a classic ghost story feel to it, one that you can show to a bit of a younger audience and spook them out which is such a rare treat to find these days, especially for it being so great as well. You shouldn't have to settle on quality when you want to watch a horror film with a wider audience. Whenever a new entry into the horror genre is about to be released, I notice the common reaction is to check the rating and if anything less than R is applied, extreme disappointment follows soon after. It isn't that I have anything against more mature content, but I don't relate quality with graphic intensity. A good film is a good film, whether it contains literally zero violence or piles of missing limbs and torture scenes. 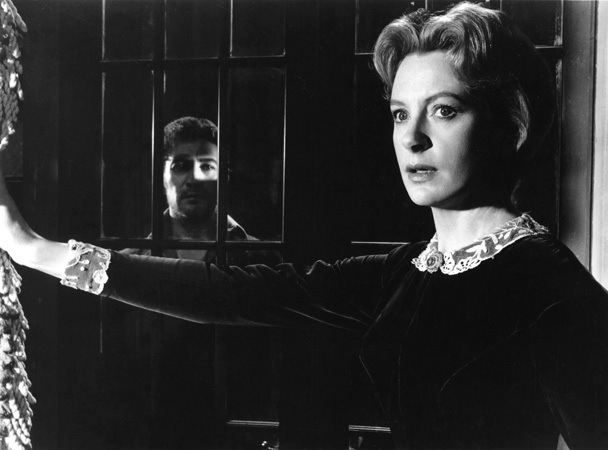 The Innocents isn't violent or sexually graphic, but it is scary. It's really damn great too.